Mindshare Fulcrum, which recently won the digital media account of HUL, is hoping for an early rollout of Ekam, the independent digital measurement system. The agency feels that the system will help them in better planning of digital campaigns. The agency says Ekam will be able to unlock the true potential of digital as more insight on the medium and the return on investment it provides to the brands will be more visible. In 2017, BARC India had proposed to set up a digital measurement system, Ekam, with an objective of offering third-party ratings for digital. The digital measurement, which will also tell brands on which content their ads were played and ensure brand safety, is stuck in a limbo. “Measurements unlock a lot of potential and we are hoping that the digital ecosystem has an industry-wide measurement to unlock the true potential that the medium has to offer so that we can offer a reward good performance and punish under-performance. The sooner the better. However, given the nature of the medium, we hope that it gets out sooner than later,” said Amin Lakhani, President, Client Leadership, Mindshare India. “Any measurement has its own challenges. Obviously, a good measurement will only propel so that we are able to strengthen the system, get inbuilt technology that helps people decide faster. In this country, we have seen double-digit growth for so many years, unlike other countries. In a large country like this where we see growth in adex, growing audience, we need more and more measurement that can help,” said Prasanth Kumar, CEO, South Asia, Mindshare. Hindustan Unilever (HUL) is said to be largest digital media client in the country with its digital account pegged to be around Rs 1,000 crore. Gauravjeet Singh, General Manager, Media (South Asia), Unilever, also said that the right kind of set-up and measurement currency on digital medium would help them avoid a lot of wastage. “There are tremendous options for cutting wastage that we systematically built into the broadcast media. At the same time, we need to do the right kind of set-ups and measurements to avoid the inherent danger of going horribly wrong on digital and to avoid burning a lot of money,” Singh said. Now that the integration process is complete, there are certain key areas HUL and Mindshare plan to focus on. The organisation will focus on two key levers that will drive their business. The primary focus will be on the effectiveness of media deployment that will lead to positive business impact. The second focus area will be to use data effectively to drive brand growth. Mindshare has been HUL’s single traditional media buying window for the last 24 years. After winning the digital account, Kumar of Mindshare said that digital was earlier a small part but it has now become a mainstay. Kumar says a lot of initiatives will be announced in the coming months. “This entire process has led a lot of relevance on digital, which will become a text to global-led practices as we move on from here,” he said. Asked if integrated mandate becomes the future for media, Singh said enough specialisation will be required in future. “At this moment, I don’t think it is an end of digital or a start of the integrated medium. Different horses have different courses. At this stage for us, it is the right thing to do. It doesn’t mean that this is the only model that exists. There is enough specialisation that is required. In future, there will be multiple performance brands and many other things. So to sit and say this is setting stones or there is no other way to run agency business will be far-fetched,” Singh said. Singh said the multi-screen getting more fragmented as a result of which now the challenge is to constantly look to recalibrate. Now, the advertisers can take a set module as it keeps on changing from medium to medium. What works for Hotstar might not work for YouTube or Facebook. “The advantage for a media team is how to appreciate the change and understand the rules of how we deploy TV or how we deploy on print or not deploy on digital. Appreciating and understanding nuances is critical,” Singh said. In terms of ROI, Singh noted that the company was getting to a slightly more scientific approach on how ad, media spends are deployed. “We make sure that we are multimedia, multi-screen and are doing the right thing on a platform and the right thing for the job on that brand. If a certain brand needs TV it will get it since it just needs that tremendous reach. If it does not need that kind of reach then you might look at a print mix or a rural, mobile OBD. It depends on the job that you want to do on a brand,” he said. Agreeing with Lakhani, Premjeet Sodhi, SVP, Mindshare Fulcrum South Asia, said Fulcrum now has an “integrated” outlook towards media buying, planning, and strategy for HUL; this philosophy will keep the consumer at the centre of it all. HUL had also launched a capability building exercise, ‘Link’, immediately after winning the account to bring Team Fulcrum up-to-speed on digital and changing its attitude towards creating an integrated media plan. 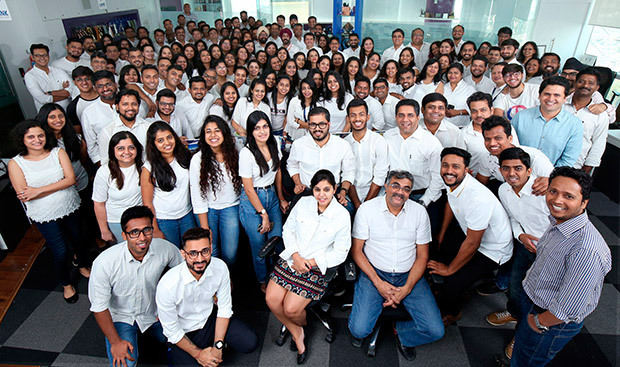 Mindshare Fulcrum has trained its 150+ staffers in all things digital in order to have a smooth transition from PHD Media.